A high-tech analysis of cave art at three Spanish sites, published in the journal Science, shows that the paintings were created over 64,000 years ago - 20,000 years before modern humans arrived in Europe. London: The world's oldest known cave paintings were created by Neanderthals, rather than modern humans, showing that our extinct cousins were far from being uncultured brutes as previously believed, a study has found. "This is an incredibly exciting discovery which suggests Neanderthals were much more sophisticated than is popularly believed," said Chris Standish, an archaeologist at the University of Southampton in the UK. "Our results show that the paintings we dated are, by far, the oldest known cave art in the world, and were created at least 20,000 years before modern humans arrived in Europe from Africa - therefore they must have been painted by Neanderthals," said Standish. This means that the Palaeolithic (Ice Age) cave art - including pictures of animals, dots and geometric signs - must have been made by Neanderthals, a 'sister' species to Homo sapiens, and Europe's sole human inhabitants at the time. 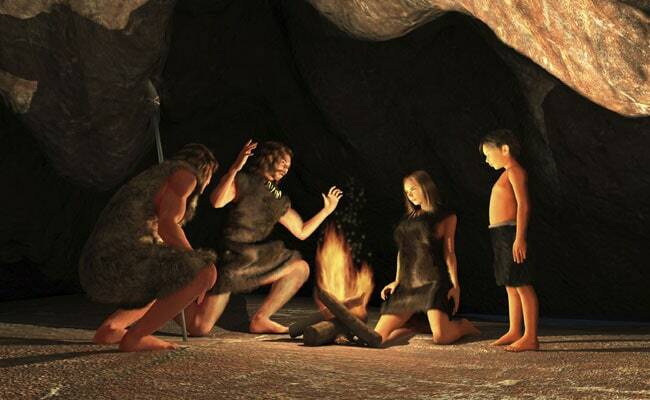 It also indicates that they thought symbolically, like modern humans, researchers said. An international team of scientists used a state-of-the-art technique called uranium-thorium dating to fix the age of the paintings as more than 64,000 years. Until now, cave art has been attributed entirely to modern humans, as claims to a possible Neanderthal origin have been hampered by imprecise dating techniques, researchers said. However, uranium-thorium dating provides much more reliable results than methods such as radiocarbon dating, which can give false age estimates, they said. A team of researchers from the UK, Germany, Spain and France analysed more than 60 carbonate samples from three cave sites in Spain - La Pasiega (north-eastern Spain), Maltravieso (western Spain) and Ardales (south-western Spain). All three caves contain red (ochre) or black paintings of groups of animals, dots and geometric signs, as well as hand stencils, hand prints and engravings. According to the researchers, creating the art must have involved such sophisticated behaviour as the choosing of a location, planning of light source and mixing of pigments. "Soon after the discovery of the first of their fossils in the 19th century, Neanderthals were portrayed as brutish and uncultured, incapable of art and symbolic behaviour, and some of these views persist today," said Alistair Pike, professor at the University of Southampton. Dirk Hoffmann, of the Max Planck Institute for Evolutionary Anthropology in Germany, added that symbolic material culture - a collection of cultural and intellectual achievements handed down from generation to generation - has, until now, only been attributed to our species. "The emergence of symbolic material culture represents a fundamental threshold in the evolution of humankind. It is one of the main pillars of what makes us human," he said.